Never underestimate the value of good customer care and just how important it is to look after your customers. Poor customer service is a sure-fire way to lose a customer. Small businesses tend to have a smaller client base, therefore losing a customer can potentially have a significant impact on profitability. In order to develop and sustain a positive, long-term relationship with your customers you must ensure that your business is focused on offering a high standard of customer care. As a small online business you should be looking at your customers as your most important asset. Take John Lewis as a renowned example of how customers are looked at as a priority. Excellent customer service is so much a part of John Lewis’s business ethos that it is completely ingrained into their brand image. Consequently , John Lewis has an enviable large, loyal and long-term customer base. Customer care is all about building enduring, positive relationships with your customers. Build loyalty and repeat custom. Offering good customer service is a key element in gaining loyalty and repeat business from your customers. You don’t need a big budget. As you’ll see from our tips below, you don’t need a big budget to offer quality customer care. Gain competitive advantage. Offering your customers a positive experience can give you an advantage by differentiating you from your competitors. Customer care is about building positive, long-term relationships by offering the best service possible to your customers. There are plenty of ways small online businesses can develop their customer service offerings. Communicating regularly with your customers shows them they are valued. The interactive nature of the web lends itself brilliantly to direct engagement with customers. It is the ideal environment in which to develop customer relationships by keeping in contact with customers through social media and email. For example, simple things like sending customers an order confirmation and dispatch email makes a big difference to how customers view the efficiency of your service. And, using social media platforms is a great way to keep customers informed of new developments and exciting offers, helping build interest and loyalty in your business. Enabling your customers to engage in tw0-way dialogue through opportunities for customer feedback is important. Your customer feels their opinions matter and you gain valuable insight into how your product or service is viewed and how it could be improved to increase customer satisfaction. It is important that you respond to all your customers. No matter how small or insignificant the query may seem to you – it will be important to your customer. Not being responded to is probably one of the most frustrating things a customer can experience. As a small business it is not always possible to answer a query immediately, but try to make it a priority to respond as quickly as you can. In the meantime it is a good idea to acknowledge your customers query and let them know you will get back to them as soon as possible. Nobody likes dealing with negative feedback or complaints. However it’s important that you address them as quickly and efficiently as possible. Listen to your customers’ grievances and deal with them professionally. Customers will stay loyal if their complaint is dealt with satisfactorily. Indeed, it can work in your favour since “Happy customers who get their issue resolved tell about 4 to 6 people about their experience” . Don’t forget whenever you are communicating with your customers to use simple, old fashioned good manners. Give your customers your full attention and don’t undervalue how a simple and genuine please and thank you can make all the difference to how a customer feels about their experience. Give your customers the service, care and attention you would expect to receive yourself and you won’t go far wrong. It is important to make sure it’s not just you engaging in a high standard of customer care. Make sure any one else responding to your customers are fully briefed and on-board with what you expect from them in terms of how they communicate with customers. Customer care must be consistent – no matter who it is from your business that is responding. We would love to hear your own experiences and thoughts on this post, so please do leave a comment. This entry was posted in ecommerce, Small Business and tagged CRM, customer care, customer management, customer relations, customer relationship management, customer service, importance of customer services, John Lewis, small online businesses, SME. Bookmark the permalink. ← Thinking about selling digtal downloads from your website? 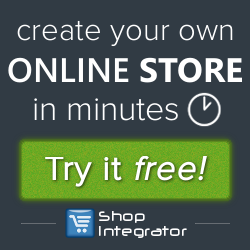 Pingback: ShopIntegrator | How small businesses can build customer loyalty with 7 simple, cost-effective tips.